The National Union of Petroleum and Natural Gas (NUPENG) has suspended its three-day warning strike. Igwe Achese, president of the union, announced this after a meeting with top government officials led by Chris Ngige, minister of labour and employment. The leaderships of Petroleum and Natural Gas Senior Staff Association of Nigeria (PENGASSAN) and other stakeholders in the oil sector were also in attendance. Achese said NUPENG was satisfied with the commitment shown during the deliberations. He expressed the hope that the agreement reached would be implemented by all parties. The national executive committee of NUPENG had embarked on the industrial action to protest the sacking of over 4,000 oil workers without benefits by oil firms. Others are the concerned Nigeria National Petroleum Co-operation (NNPC), National Salaries and Wages Commission, and the oil and Servicing companies, among others. Ngige said the meeting was to provide lasting solution to the lingering industrial crisis in the sector. “A lot of agreements have been reached but not complied with by the IOCs and the LOCs as petitioned by the unions,” he said. Ngige also said the meeting was an intervention move to agree on timelines for the effective implementation of these agreements. 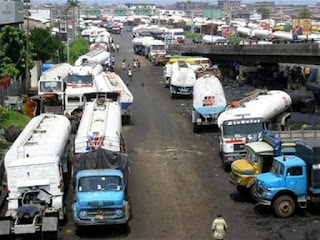 Olabode Johnson, president of PENGASSAN, lamented the non-compliance of agreements reached earlier with oil companies. “These oil companies have refused to respect the agreements reached between the federal government and the unions,” he said. “So, for this meeting to be fruitful there must be some level of compliance because PENGASSAN has also issued an ultimatum, which was also put on hold at the instance of this meeting.